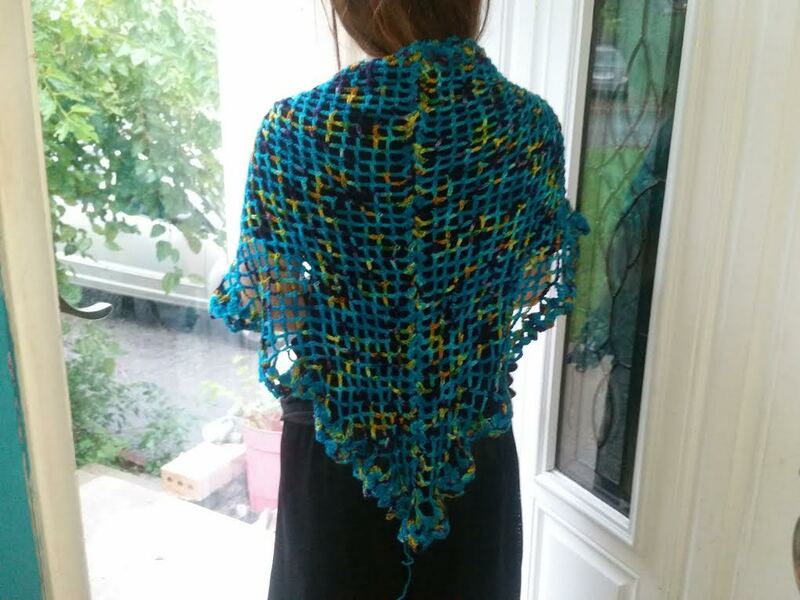 This beautiful shawl was made with a wonderful wool that I've had forever. Sometimes it takes awhile to find just the right project for the fiber. The yarn was spun in Wales and somehow I picked it up in Missouri. 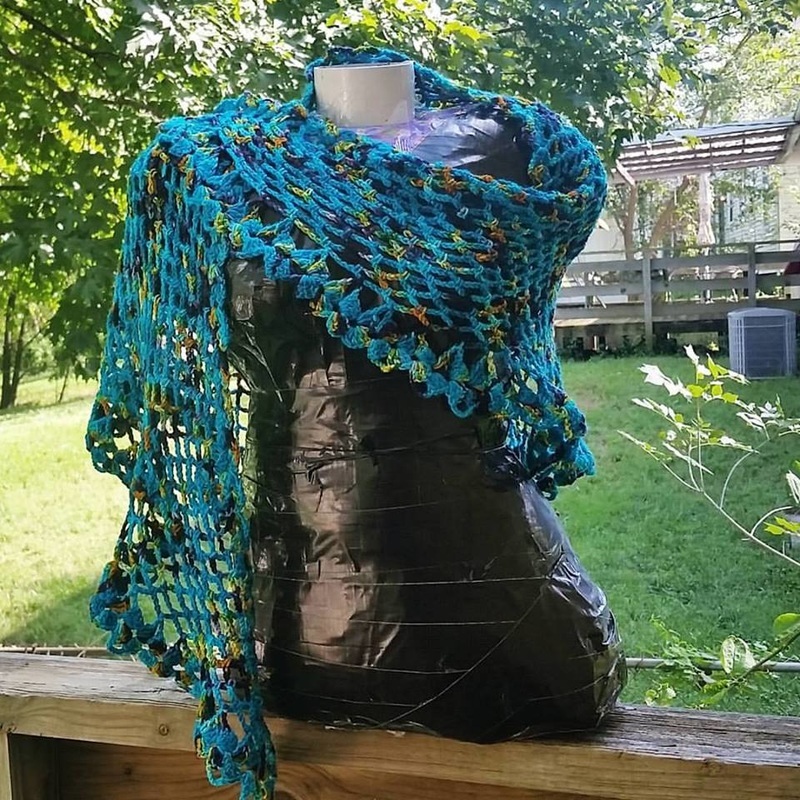 The triangular shawl is basic, but that allows for the flow of the colors, like an ocean's waves - especially in the tidal pools where the colors all mix and mingle and hidden treasures are everywhere to be found. 100% wool with a creation time of 27 hours. Despite the luxury feel, this yarn is actually a very washable acrylic. The inspiration behind this piece comes from my absolute obsession with Ukrainian Crochet magazines. I don't read Russian, but I can figure out those stitches and I love love love the magazines. Made with cotton thread. This one I saw in my mind and must have tried a dozen times to get it right. It's bright and happy and just fun. cotton thread. The leaves are done, blue flowers are 1/3 done and sun flowers are 1/6 done. I enjoy working with thread, but not the stiff kind. It has to be flexible and fun to hold. The stiff stuff makes me sad both when I'm working with it and after I'm done and I'm holding a stiff unwearable project. It gets better after you wash it, but not always all the way better. I'm happier when I start with higher quality thread. February 14- I'm 100% done with the flowers and leaves and what have you. Now it's on the board and I'm starting to piece it together. Feb 17 - the piecing is done. Now for blocking and weaving in the ends. It has a total of 66 pieces in it and has taken 29 hours so far.